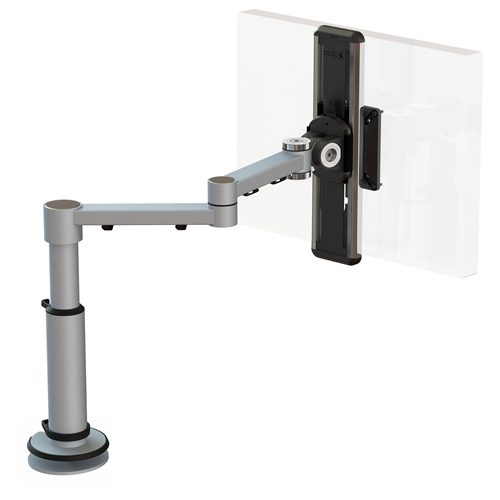 With a minimalistic profile X-Stream offers a cost effective, flexible solution to achieve the perfect ergonomic working position. 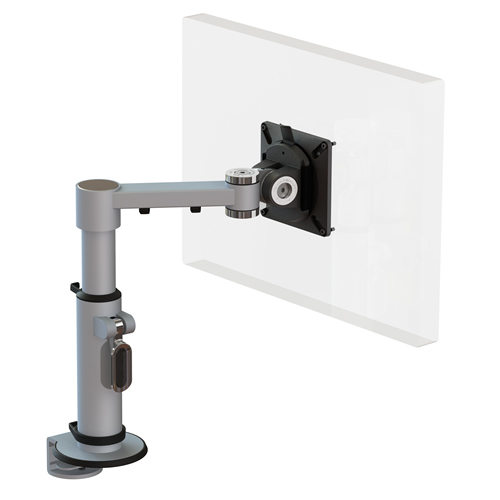 X-Stream also offers a unique weight loading capacity enabling the user quick and easy screen interchange. 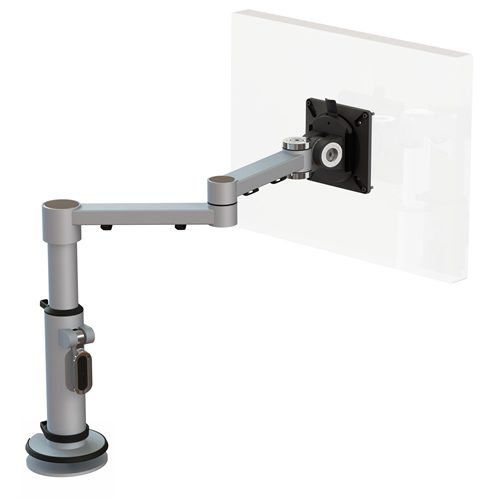 The single beam arm at full extension provides a reach of 240mm, folding back on itself into a space of 40mm. Fixed height ranges from 290mm – 375mm with front end height adjustment ratchet mechanism giving a further 140mm adjustment range. Our cable management system spanning the entire arm from desk to screen provides the user with a clutter free environment.